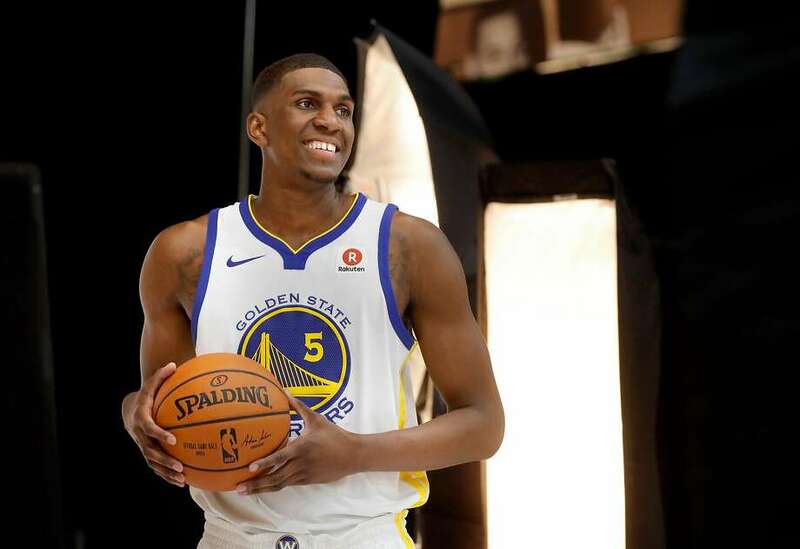 Kevon Looney plays for the Golden State Warriors of the National Basketball Association (NBA). He has exhibited great tenacity and determination in the course of his professional career and has been admired by stakeholders for his guts. Kevon was determined to play basketball and refused to quit even after sustaining severe injuries. After several challenges, he was made a regular player in 2017-18 season with the Warriors. He was born on February 6, 1996, in Milwaukee, Wisconsin. Growing up Looney looked up to his older brother who was a huge fan of Kobe Bryant and would watch clips of him displaying his moves in the court. Young Kevon attended Alexander Hamilton High School in Milwaukee and was notable in the game of basketball. He was the best player in the game during his time at Alexander Hamilton. Looney was so good in high school that he received offers from in-state schools Marquette and Wisconsin. In his junior year, he recorded 26.1 points, 3.1 assists per game, 12.4 rebounds as his average. His final season with the school ended with an average of 27.9 points, 12.7 rebounds, 7.0 assists and 8.0 blocks per game. After a successful high school career, he proceeded to the University of California in 2013. He, however, suffered a hip injury upon his arrival and missed three games. In the following season, Kevin became one of the top freshmen in the country. The season opener saw him record 20 points, three assists and nine rebounds in the 113-78 win over Montana State. Looney got better and better with shooting as he advanced in the team and was projected as a freshman lottery pick by many analysts. 2015 saw the baller going pro after he decided to opt out of college and declare for the year’s NBA Draft. However, the move did not go as smoothly as expected as his draft stock dropped over concerns about his hip injury. But he was eventually selected by the Golden Stae Warriors in the final pick of the first round of the Draft. He subsequently underwent a hip surgery in August that year. By January 2016, the Warriors assigned him to their D-League affiliate Santa Cruz Warriors. But his hip injuries kept coming back and prevented him from actively participating in games. Looney bounced back in the 2017-18 season and became a regular rotation player recording nine points on 4-of-4 shooting and five rebounds in a 120–117 win over Washington. Stronger and more determined, he played extended minutes still superb with rebounds. He signed a new contract with the Golden State Warriors in July 2018. With a salary of $1,567,007 per year, Kevon Looney surely has a promising future in the prestigious NBA league. Looney was the 10th best paid player of the Golden State Warriors in 2018 and had a 6.49 percent increase in earnings that same year. Kevon was born to parents Victoria Looney and Doug Looney who are devout Christians and brought their children up with strong Christian values. Looney’s mother recalls how the doctors advised against having him and how she went on to carry the pregnancy having backed it up with prayers. The Looneys are very united and strongly uphold their family values. The basketballer has two older siblings, his sister Summer and his brother Kevin who is also a basketball player. Kevin’s love and dedication to the game of basketball caused Kevon to fall in love with the game himself. Kevin, a strong shooter and an admirer of Kobe Bryant, would often take Kevon along to play with him and teach him some unique skills. Looney has a cousin named Nick Young who also plays in the NBA. Kevon Looney has a body that suits his daunting career. He stands at a height of 2.06 m (6ft 9in) which is quite proportional to his weight of 220lbs (200kg). Although he lost 14 kg after his recuperation, Looney still balances these measurements with his sturdy looking body build which includes his 7-foot-4-inch (2.24 m) wingspan.